Zbrusu nové album výborné české doom metalové kapely. Digipack. 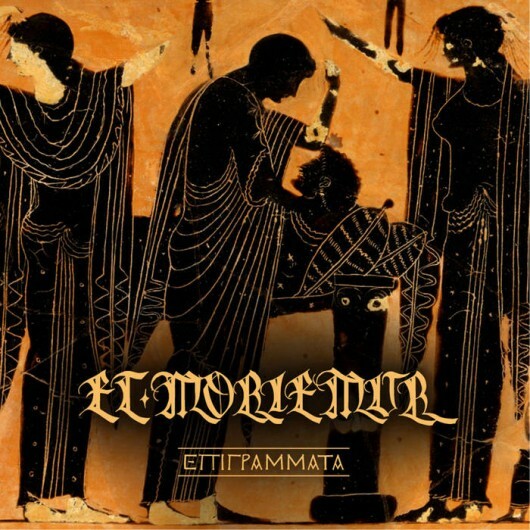 Et Moriemur are doing things in an exceptional way for their upcoming full length titled 'Epigrammata'. Delving into the rich European history, imbibing Gregorian chanting and using Latin and ancient Greek to convey their message, the Czech supergroup of sorts with members of bands such as Dissolving of Prodigy, Self-Hatred and Silent Stream of Godless Elegy, have assembled a host of musicians playing cello, violin, trombone among others and have even employed services of a choir to take their expression to another level. They combine influences of death, doom and even a bit of black metal and use their operatic flair to imbue it with a mesmerizing quality. It transcends the perceptions of the death/doom style at present and gloriously brings back forgotten elements to elevate it. Band's message for the album - "Epigrammata represents our attempt to cope with the dying or death of those we loved. To create a solemn and classical atmosphere we used lyrics in ancient Greek (the title itself means epigrams) and in Latin, more precisely from the Mass for the dead – the album follows the typical Requiem structure, i.e. Introitus, Requiem Aeternum, Dies Irae etc. - and of course the traditional, unisono male Gregorian chant. In any case we tried not to do a uni-dimensional record. So apart from the inevitable grief there is gratitude as well for having had the chance to share our life with them and hope that they are well – wherever they are."